Hi, all. Hope you’re keeping cool. 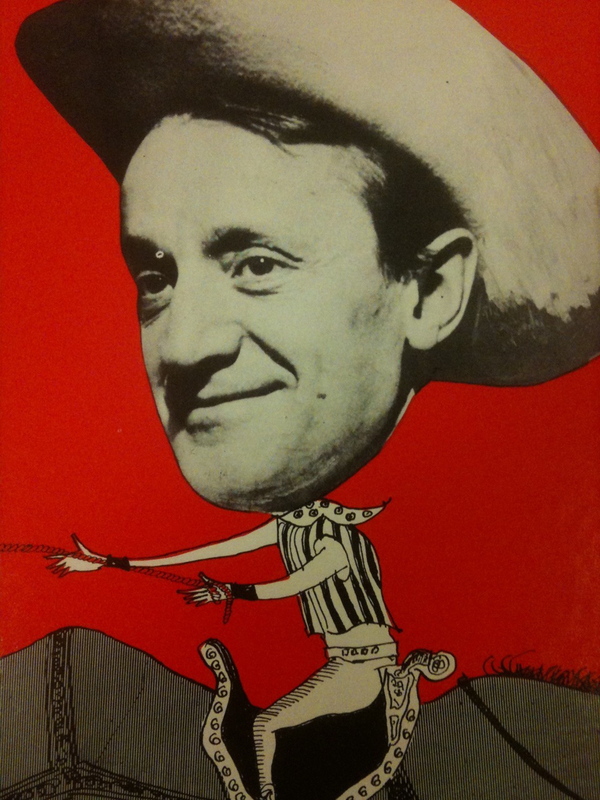 Me, I’m gearing up to go KlezKanada in Montréal to teach folksongs collected by Ruth Rubin. Meantime, last week I was working with a researcher interested in examples of songs combining Yiddish and English, most of which ended up being of a comic nature. 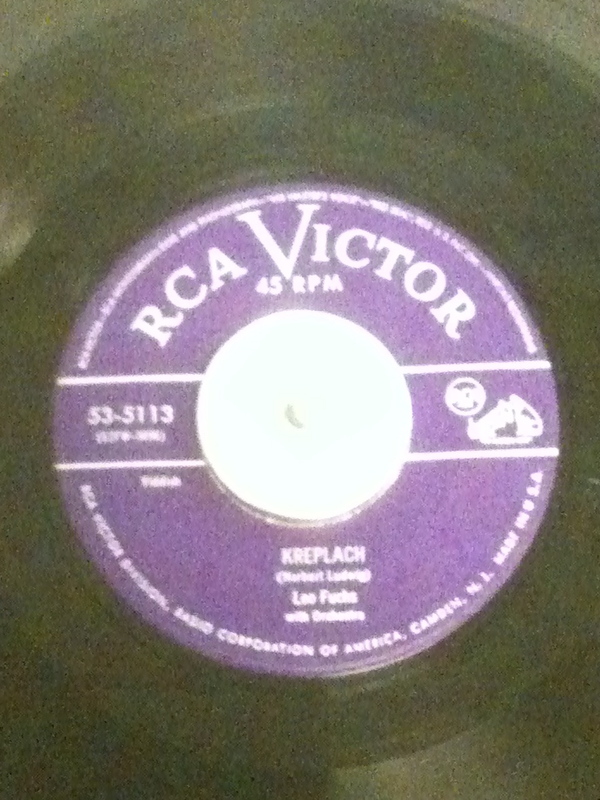 One particular favorite that had us rolling on the floor was a disc from the 1950s called Kreplach performed by the debonair Leo Fuchs. (I believe this 45rpm disc was donated by Itzik Gottesman). So fun. It sounds to me like Mickey Katz’s band featuring the incredible Manny Klein on trumpet. Before we leave Leo Fuchs, click on the title to see and hear him in action in a song from Edgar G. Ulmer’s 1940 film American Matchmaker. As I’ve often remarked, I learn or find something new every day here in the Sound Archives. While we were laughing the afternoon away we came across a great routine from 1922 by Yiddish theater greats Anna Hoffman and Jacob Jacobs. 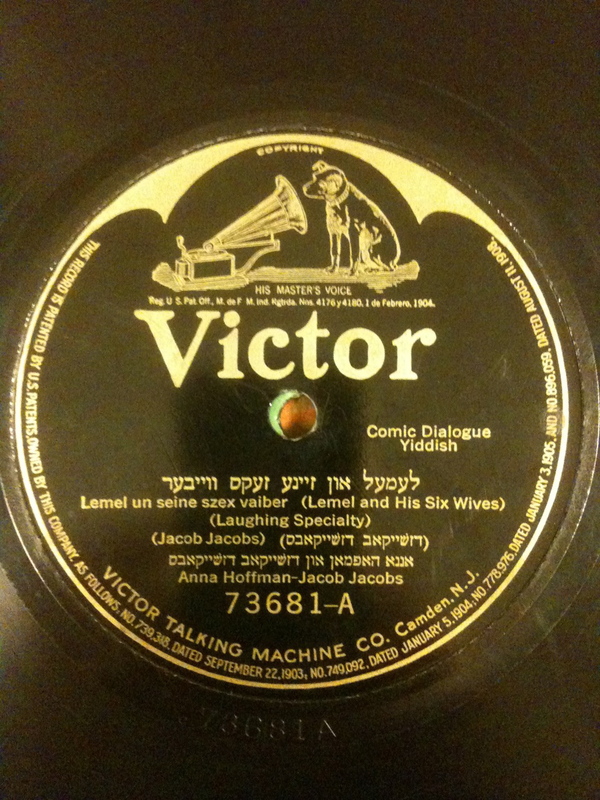 I guess this is the Yiddish answer to what was apparently the “party disc” of the era, the so-called “laughing record.” We have one around here somewhere… if I find it, you’ll be the first to hear it. Re KREPLACH SONG: At last!!! I have been looking for this song for years! As far back as 1998 I posted a request for anyone to help me to find it on a Yiddish site, but to no avail. I remember my late father having this record 50 years ago, and the rare snippets I knew drove my kids and their friends insane growing up! THANK YOU!! !